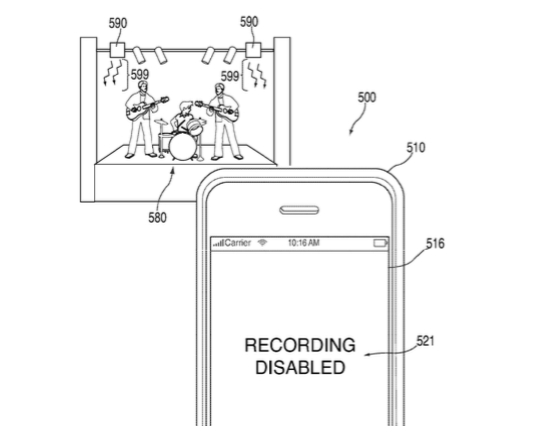 The patent, filed back in 2011, describes the iPhone’s camera detecting an infrared signal in order to receive information. One of the most obvious possibilities for this type of data transfer would be to prohibit concert-goers from capturing bootleg footage at exclusive events. 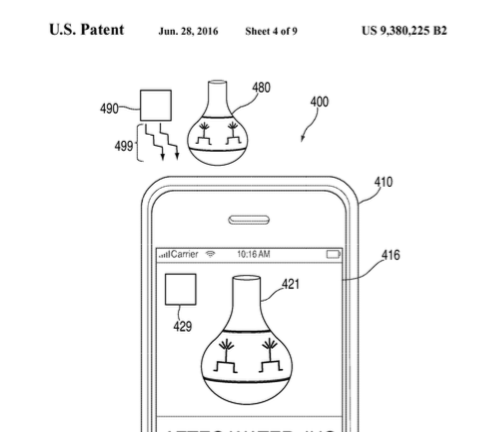 Apple even included illustrations in the patent filing to show how the technology would work. In some embodiments, a device may apply a watermark to detected images as an alternative to completely disabling a recording function. For example, a device may receive infrared signals with encoded data that includes a command to apply a watermark to detected images. In such an example, the device may then apply the watermark to all detected images that are displayed or stored (e.g., single pictures or frames of a video).